Improve your effectiveness with individual and team coaching! 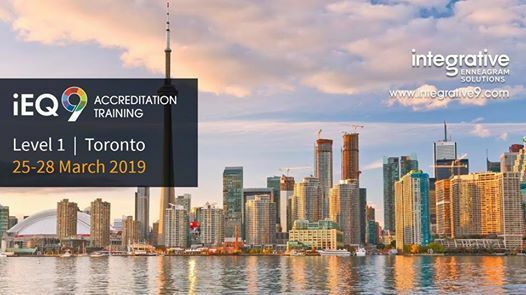 Join Integrative Enneagram Solutions in Toronto, March 25-28, for the iEQ9 Practitioner Accreditation and gain deep learning on how to practically apply the Enneagram and the iEQ9 products in your coaching practice. 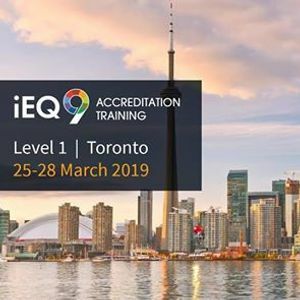 The Level 1 iEQ9 Accreditation program will teach you the practical application of the Enneagram and the 27 Subtype model in Individual/Team coaching and Organizational Development. 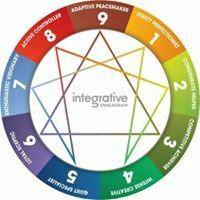 The Integrative Enneagram Questionnaire (iEQ9) is the most accurate and reliable Enneagram assessment and is used by 1700 professional coaches and OD practitioners around the world. The the iEQ9 Intelligent Questionnaire is the most accurate Enneagram typing test in the market at 95%, we are able to pinpoint the Enneagram profile, Subtype, Centre of Expression, Levels of Integration and the 6 Dimensions of Stress and Strain within an individual or team.